German military recruitment has been at the forefront of discussions for the past few weeks. This topic has been relaunched by General Eberhard Zorn – army’s general inspector – (Generalinspekteur der Bundeswehr, highest military rank in Germany) during his interview with the Funke newspapers group, stating that “in times of skilled labor shortage, we (Germany) have to look in all directions”. Soon after these comments, the “newsmagazine Der Spiegel published an article about a leaked governmental report indicating that plans to recruit citizens of other European Union countries were broader” (2018, Shuetze D.F, New York Times). Hereafter, the “leak” issue regarding the confidential nature of this report, debates have been revived about the chosen strategy in order to beef up German forces in the coming years. Following the program of expansion which started after the 2014 Russian annexation of Crimea, the German Ministry of Defence started planning to boost the number of military personnel in service from 179.000 to 203.000 active members by 2025 (2018, Der Spiegel). 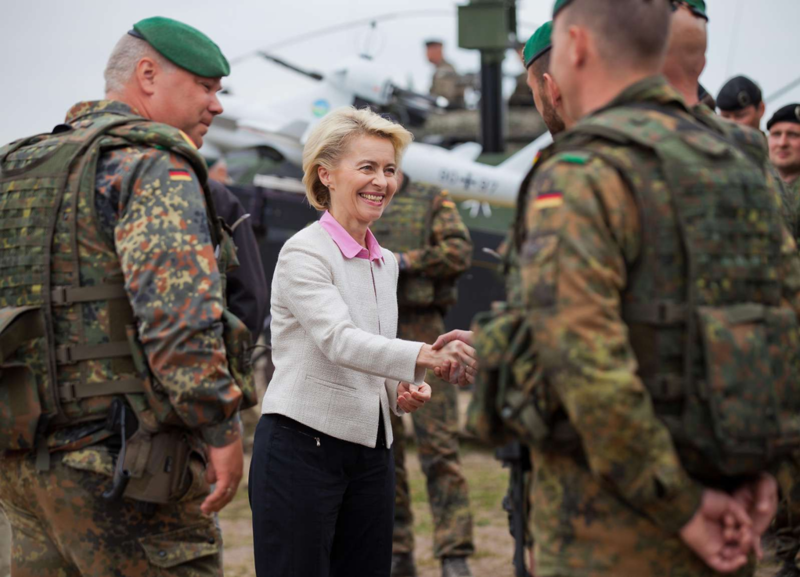 A viable way, according to the German Minister of Defence Ursula von der Leyen, is to integrate the Bundeswehr with German-speaking foreigners already living in the country. In fact, “non-German recruits wanting to join the military would have to prove a competent level of German, pledge their loyalty to the German state and present a certificate of good standing issued by the police” (2018, Conolly, K., The Guardian). It is not clear, as of yet, whether the German Bundeswehr is going to be integrated by foreigners or whether these will be part of units composed only by foreigners, as seen with the French Foreign Legion system (2018, Business Insider). Nonetheless, according to General Zorn, these new recruits would be considered for specialised positions, such as doctors or IT specialites (Ibidem). This objective set by the German Minister of Defence is not only to increase the amount of serving personnel but also to respond to precise needs as expressed by the Bundeswehr (2018, Der Spiegel). (Source: The ministry of Defence on her summer tour, https://www.bmvg.de/en/the-minister-of-defence). A number of issues may arise due to these statements. One of these, is the fear by other countries that their own citizens who are fit for the military service will choose Germany instead due to the higher salary. In this regard, some Eastern Europe states expressed their reluctance to see Germany expand its military recruitments to other countries. Indeed, for a lot of them, and as stated by the Polish Foreign Minister Jacek Czaputowicz, the military service is “closely tied to nationality”(2018, Carrel, P., Reuters). One could see this new initiative more than the simple involvement of foreigners within German forces, but by allowing non-German citizens to join the Bundeswehr as a first step towards a closer European cooperation. It is not the first time that the German armed forces present themselves as a leading institution in terms of European military integration. The Romanian 81st Mechanized Brigade and Czech 4th Rapid Deployment Brigade had already started integrating the German army as the 11th Airmobile Brigade (light infantry unit within both the German and Dutch army), and inside the German Division Schnelle Kräfte. (2017, NATO News). Thus, one might ask whether Germany is integrating foreigners as a matter of national security, or is it aiming for a more integrated system comprising foreigners within a European project? The debate can lead to a plethora of views. From a historical perspective there are a number of examples where the integration of foreign personnel within national militaries in Europe was a success. The first example is France with the Légion étrangère (foreign legion) that was founded in 1831. It is characterised by the fact that it hires mainly non-French people, all volunteers, who are sent in the most dangerous war zones and who earn, after a period of five years, the right to be French nationals. It has been a successful experiment for the integration of foreigners within the national military ranks and even after 180 years, the Legion continues to exist and is currently involved in a variety of operational contexts. Similarly, the Spanish government founded in 1920 the Spanish Legion, composed by Spanish citizens, or citizens from foreign colonies, usually non-citizens with a valid Spanish residence permit (2017, La Legion Española website). It is still currently operational as part of the Spanish Army. But European integration is far from new, thirty years ago a cooperation between Germany and France had already begun through the creation of the Franco-German brigade. It was founded in 1989 and is the first example of modern integration, putting together officers from different armies (2018, Hanselblatt). 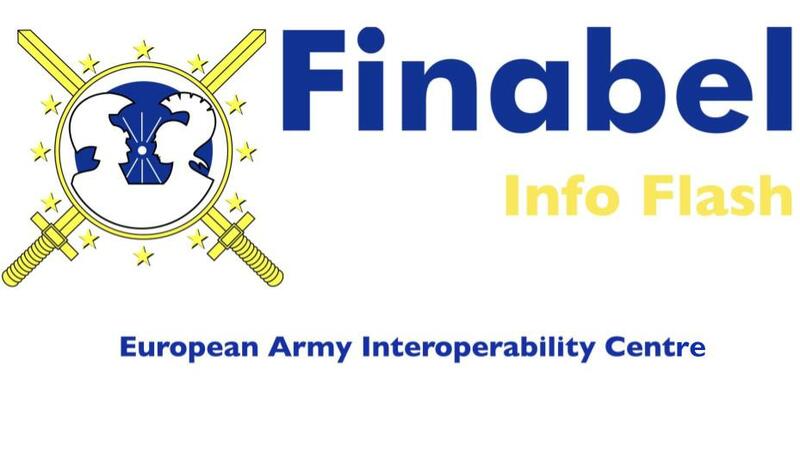 Thus showing that the integration of the Romanian 81st Mechanized Brigade, the Czech 4th Rapid Deployment Brigade, as well as the 1st German/Netherlands corps (based in Munster, Germany), is not a new concept in the process of integration between European armed forces. 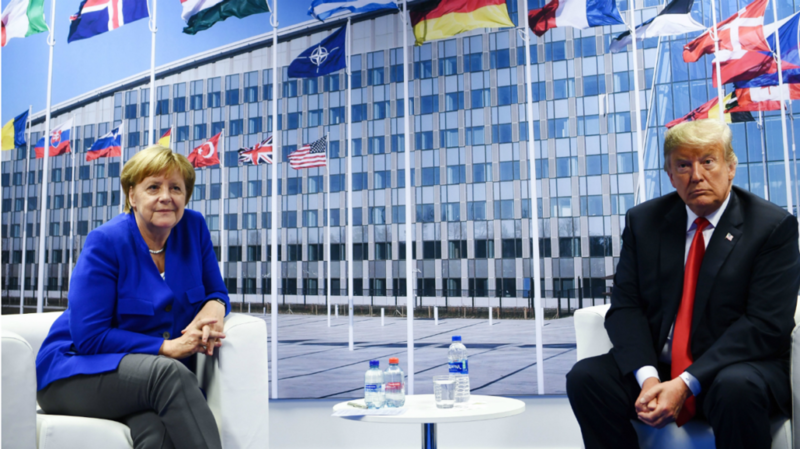 meeting after Washington NATO summit, July 2018, https://www.theweek.co.uk/nato/94977/nato-summit-donald-trump-and-angela-merkel-wage-war-of-words). “With great personal dedication, our servicemen and women are making outstanding contributions to peace and security – in Germany, Europe and around the world. For this reason, the men and women of the Bundeswehr rightly enjoy the respect, recognition and gratitude they deserve both at home and abroad”. (Accessed 3rd of January, https://www.bmvg.de/en/the-minister-of-defence). Emma Marty & Christian Contro. (Dec 27.2018), Shuetze, C.F., “German Army considers recruiting foreign citizens”, New York Times. (Accessed 3rd of January 2019, https://www.nytimes.com/2018/12/27/world/europe/germany-military-foreign-nationals.html). (Dec 27.2018), Conolly, K. “German army considers recruiting other EU citizens”, The Guardian. (Accessed 3rd of January 2019, https://www.theguardian.com/world/2018/dec/27/german-army-recruiting-eu-citizens). (Dec 28, 2018), Burdeau, K., “To Build up Its Army, Germany Looks at Recruiting EU Citizens”, Courthouse News Services. (Accessed 3rd of January 2019, https://www.courthousenews.com/to-build-up-its-army-germany-looks-at-recruiting-eu-citizens/). (Dec 27, 2018), Huggler, J., “German military considers recruiting from other EU countries”, The Telegraph. (Accessed 3rd of January 2019, https://www.telegraph.co.uk/news/2018/12/27/german-military-considers-recruiting-eu-countries/). (Dec 27, 2018), “German army ‘could recruit EU citizens’”, BBC News. (Accessed 3rd of January 2019, https://www.bbc.com/news/world-europe-46692176).